Meet another talented local artist - Lisa Berkshire, Lisa is an Artist/Illustrator living and working in Poole and will be coming along to the Steeple Leaze Farm Christmas Fair to show her amazing original art work. 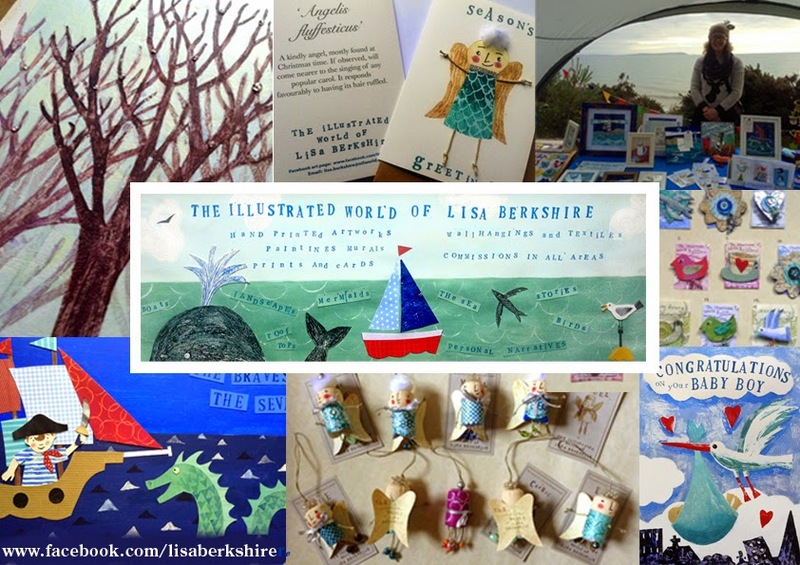 She creates hand-printed artworks on themes including the sea, birds, Dorset scenes and tales, children's stories, folklore and illustrated text and sayings. Her work is available as original hand-printed artworks, paintings, prints, wall-hangings, illustrated mugs, cards, hanging decorations and handmade brooches amongst other creations. So some perfect Christmas gift ideas! 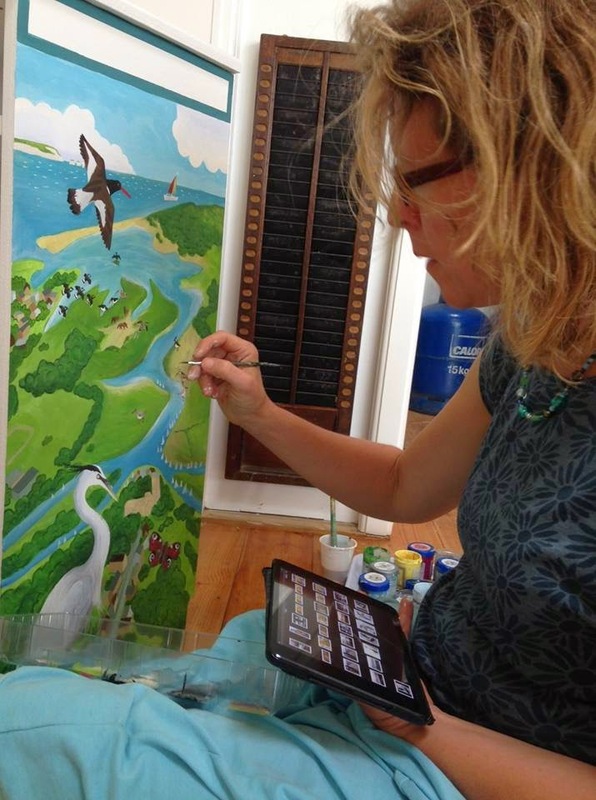 She has also produced a range of hand printed artworks for children which are all personalisable and perfect for special presents on many occasions, and also works producing murals in private and public spaces. Above all, she likes to produce artwork that is positive and humorous, with a definite narrative feel.